Opposi­tion party soften­s stance a day after threat­ening to boycot­t budget debate. Opposition party softens stance a day after threatening to boycott budget debate. In an apparent change of heart, the Pakistan Muslim League-Nawaz (PML-N) has formally offered talks to the government on a caretaker setup for holding parliamentary elections later this year – but on one condition: Prime Minister Yousaf Raza Gilani should resign first. 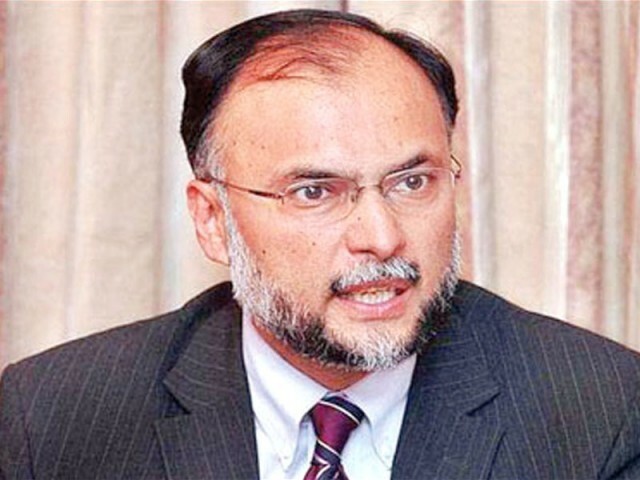 The surprising overture came from PML-N Deputy Secretary General Ahsan Iqbal at the end of his over two-hour long speech in the National Assembly on Monday to mark the beginning of the parliamentary debate on the federal budget for fiscal 2012-13. “The country’s survival is at stake … the situation demands unity among political forces … if the government is serious in resolving problems, Gilani should resign. A new prime minister should replace him if parliament wishes so and then we are ready for dialogue for forming an interim setup,” said Iqbal, whose unusually long speech was the only highlight of the day. The offer by Ahsan came on the heels of a similar gesture by another PML-N leader, Khawaja Muhammad Asif, during the day. Asif said the main opposition party “would neither go too far nor would lag very behind” in its policies towards the government. These were the first peace-making signs from the opposition, which has been adamant to seek the removal of the premier following his conviction by the Supreme Court in a contempt case in April. 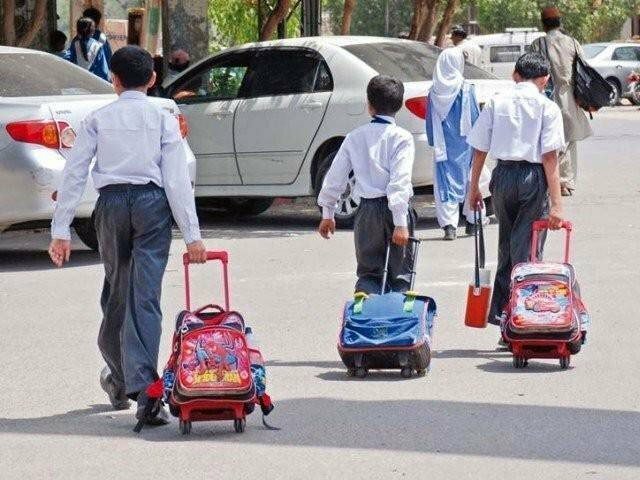 There was no immediate explanation as to what made the PML-N soften its stance only days after its members vociferously tried to block the government from presenting the budget. According to unconfirmed reports, however, negotiators from the PPP and the PML-N, in their backdoor negotiations, were inching closer to a deal on smooth transition under a formula agreed in the 20th Constitutional Amendment. Furthermore, a three-day visit to Pakistan by Turkish Prime Minister Recep Tayyip Erdogan last month has also helped defused simmering tensions between the two major parties and insiders said they were now looking for forward movement on key political and legal standoffs. There were only half-hearted, sporadic shouts against the government and Prime Minister Gilani by PML-N members during Ahsan’s speech. The new situation, it seems, would provide the government some space to gather its nerves after back-to-back crises and position itself better in the run-up to fresh parliamentary polls scheduled for early next year. Before making a dialogue offer, however, Iqbal criticised the budget calling it a recipe for disaster and arguing that it would change nothing for hundreds of thousands of Pakistanis living below the poverty line. The PML-N leader warned of an Eastern Europe-like Balkanisation of Pakistan if the government did not take emergency measures to control the meltdown of the country’s economy. “Nothing, except economic stability can guarantee the survival of a nation … we are wrong if we think stockpiles of weapons or a mighty army will save us … look at Russia (former USSR) and Yugoslavia, they were doomed despite having all of this,” he said. Published In The Express Tribune, June 5th, 2012. Virtually all political parties have plan to carry out a constructive debate over the budget. Assailants had both damaged furniture and ruffed up PTI workers. Ishaq Dar says national debt has doubled to Rs12 trillion during the govt’s tenure. One will fully agree with this demand of PML (N). This dude also has dual citizenship. @Imran: No his name never came in the list of Dual Nationality holders so stop lying. You have been demanding this for the last 2 years, certainly to no avail, and neither its going to be. Can’t you wait for another 5 months, when the constitunally scheduled time is matured? Meanwhile, you have sufficient time to make up to your short comings in the last 4 years. @Imran, I think Ahsan Iqbal holds U.S Green Card but not passport, so he is not dual national. Khawaja Muhammad Asif is canadian national…. Khawaja Asif has a resident Canadian Visa not Citizenship, he is simply not dual national. Demand of PML(N) is right. Agricultural tax is must. Canadian residency gets cancelled if you don’t stay a certain period of time in the country. It is simply not possible for Khawaja Asif to maintain his permanent residency. He should stop lying to the people of Pakistan (like his leader did). ISI already has the possession of his documents, sooner or later they will be made public.